The Altronix AL300ULXR Power Supply-Charger has been discontinued. No direct replacement is available. 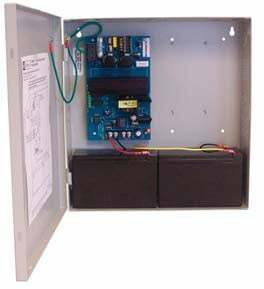 Convert a 115 VAC/60Hz input into one (1) class 2-rated 12VDC or 24VDC power limited output. Altronix AL300ULXR Power Supply-Charger converts a 115 VAC/60Hz input into one (1) class 2-rated 12VDC or 24VDC power limited output. It has a 2.5 amp supply current and class 2-rated power limited output. Maximum charge current is .7 amp. It automatically switches over to stand-by battery when AC fails (zero voltage drop). PSU/Charger Converts 115 VAC/60 into Single Input 12VDC/24VDC.